Erik Hassle is iTunes Single of the Week! 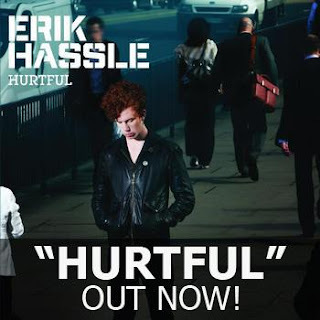 Erik Hassle's debut U.S. single "Hurtful" is now the iTunes single of the week! Go and get your copy on iTunes America! Hassle has apparently returned home to Europe to record some new material for the forthcoming EP Hassle Sessions, due out in America this Fall. Listen to Erik Hassle's recent recording of "Standing Where You Left Me." Love this guy! He's so talented!